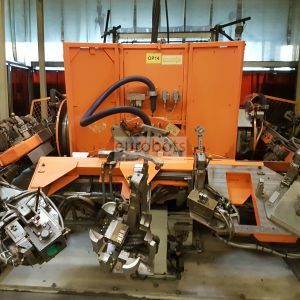 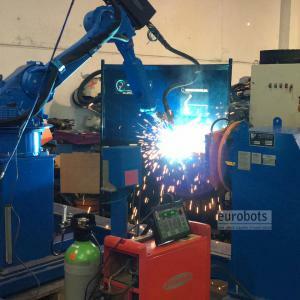 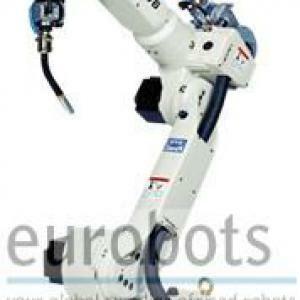 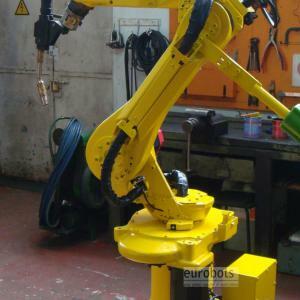 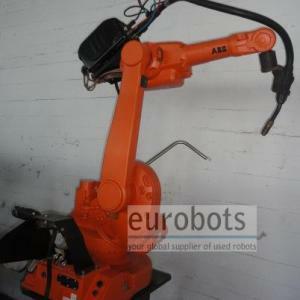 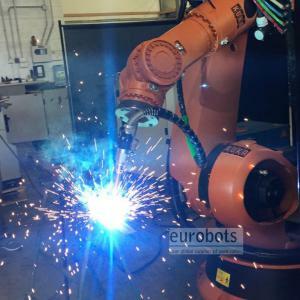 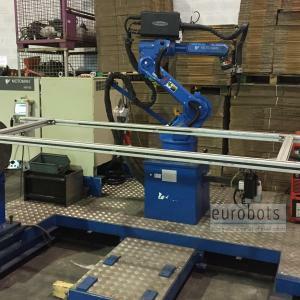 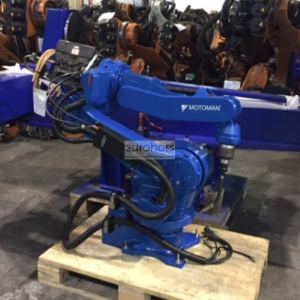 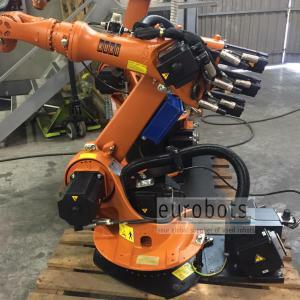 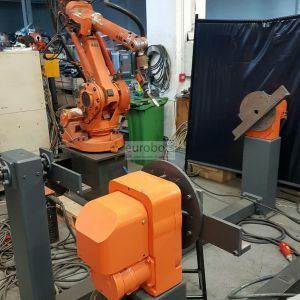 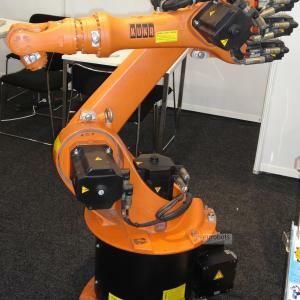 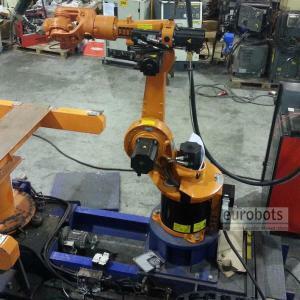 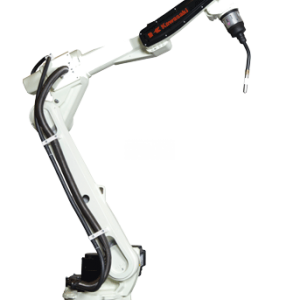 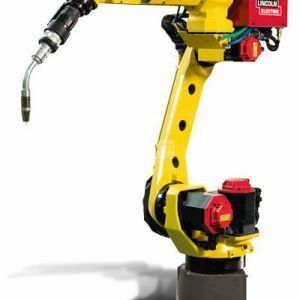 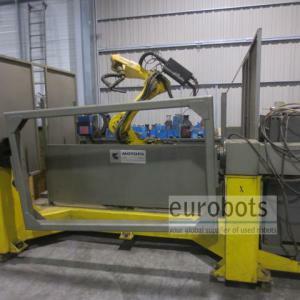 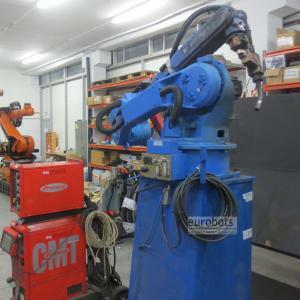 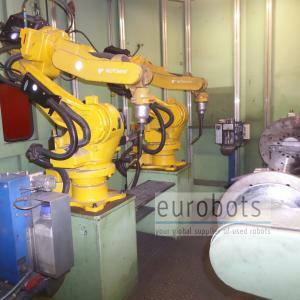 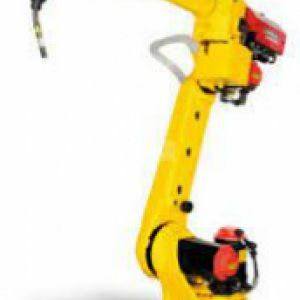 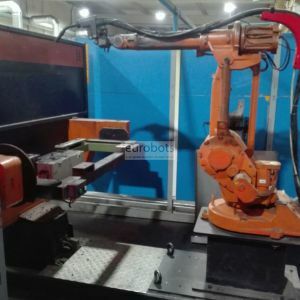 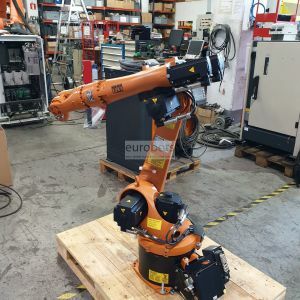 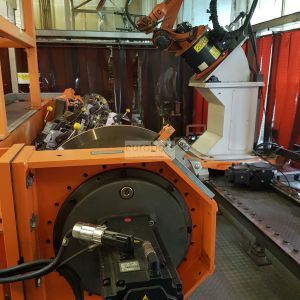 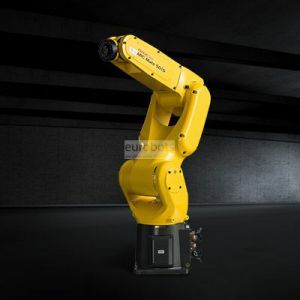 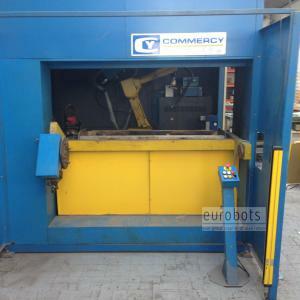 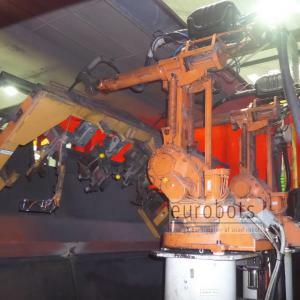 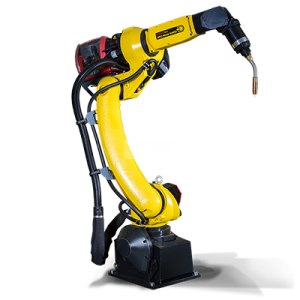 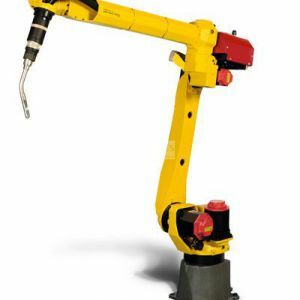 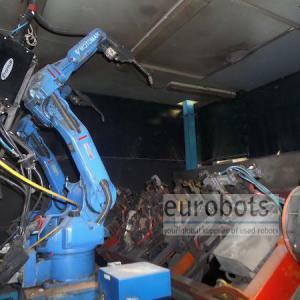 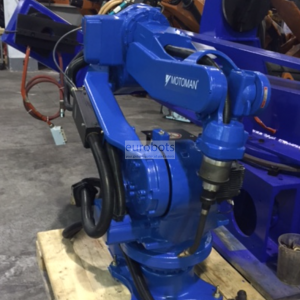 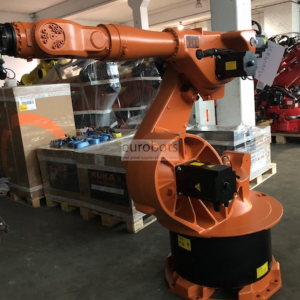 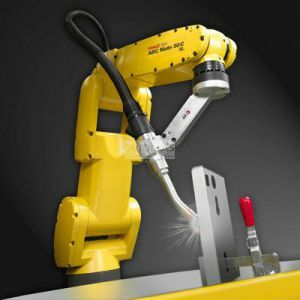 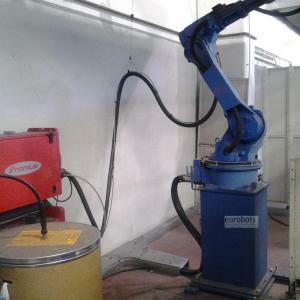 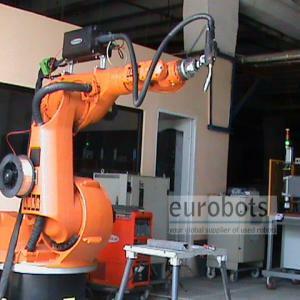 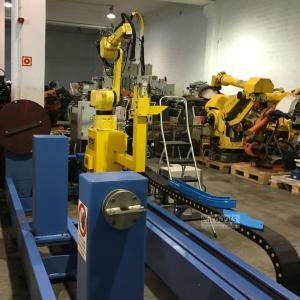 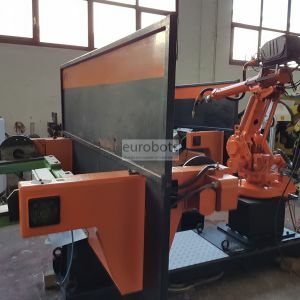 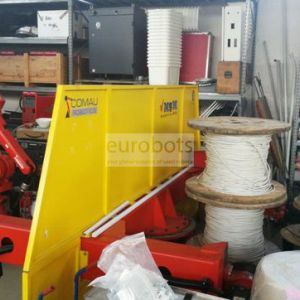 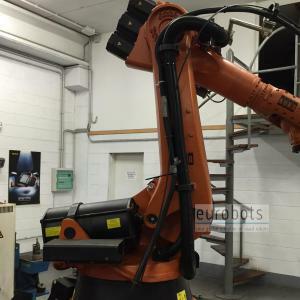 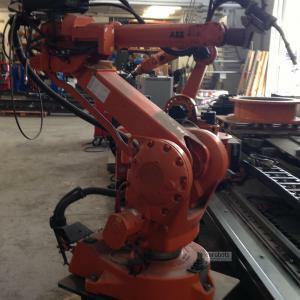 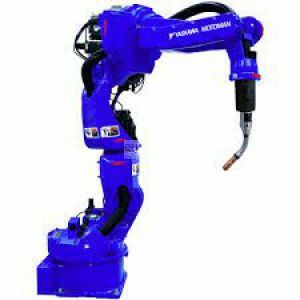 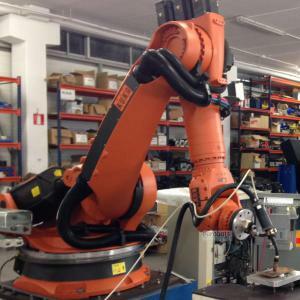 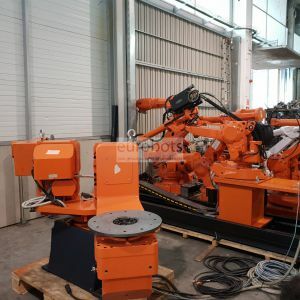 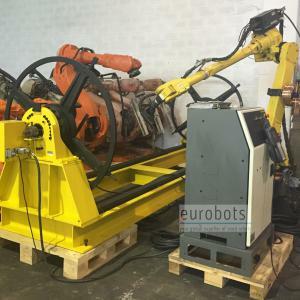 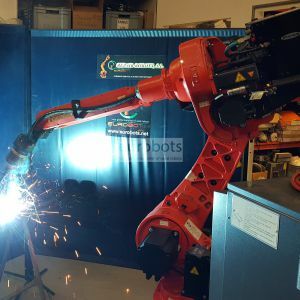 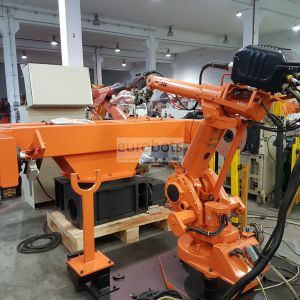 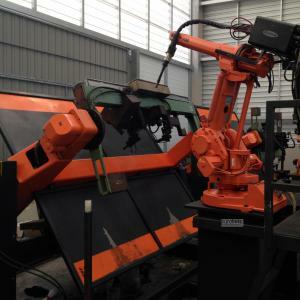 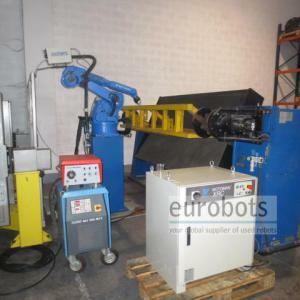 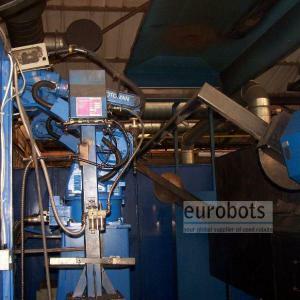 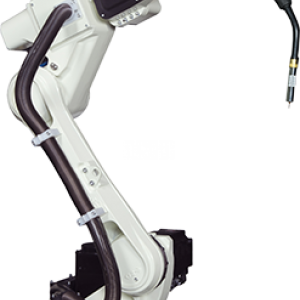 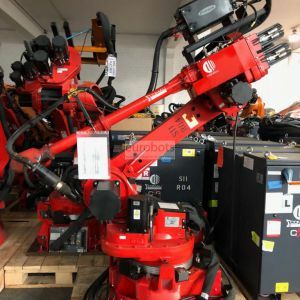 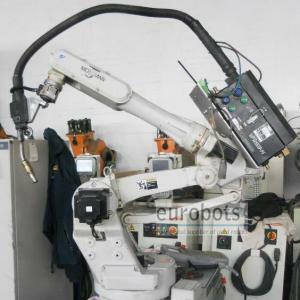 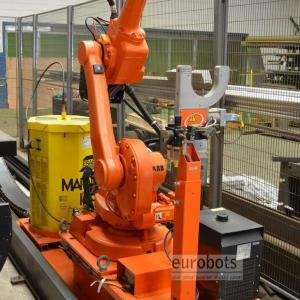 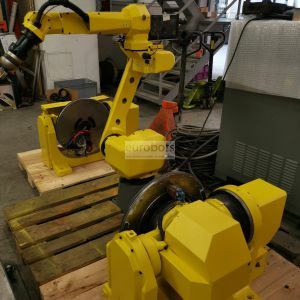 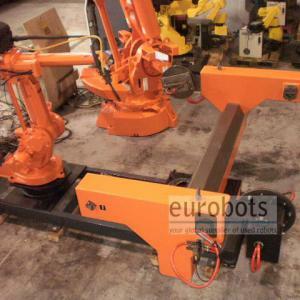 6 axis industrial robot make KUKA, ABB, Kawasaki or Fanuc with a working envelope raging from 1,5 to 3 m. A higher arm reach can be achieved for some of our robots available for sale through the implementation of a linear unit - servocontrolled 7th axis. 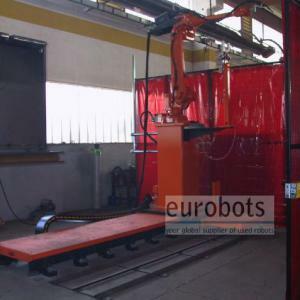 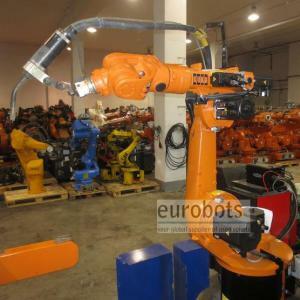 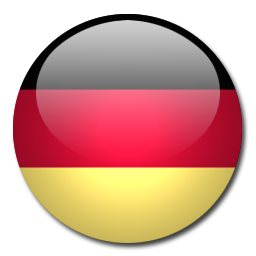 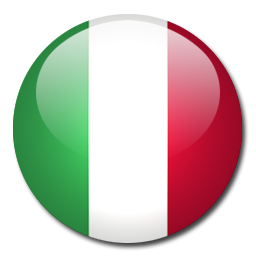 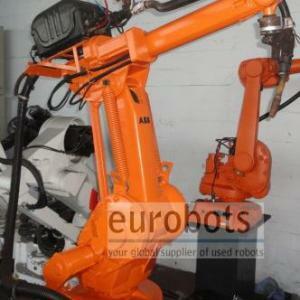 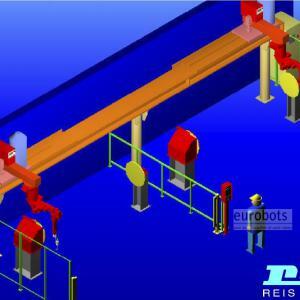 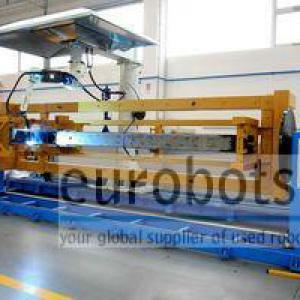 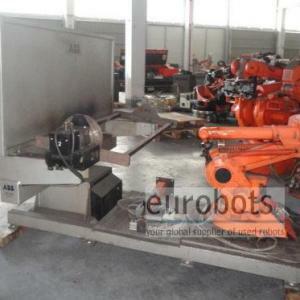 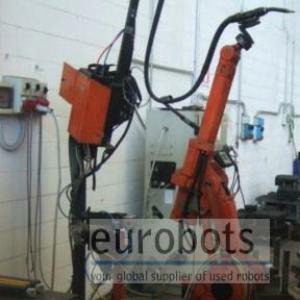 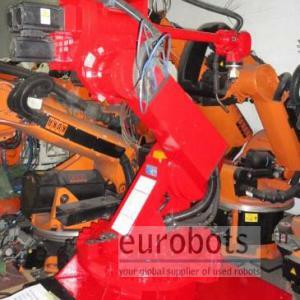 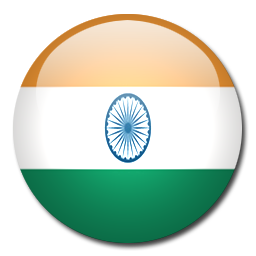 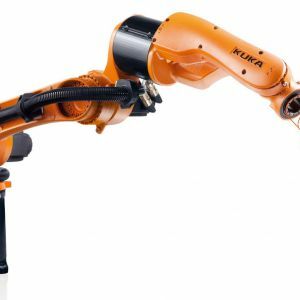 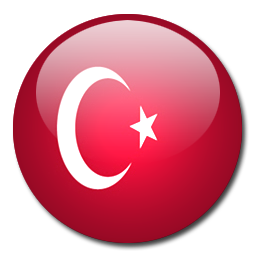 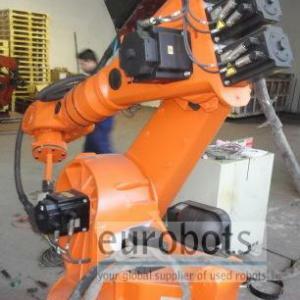 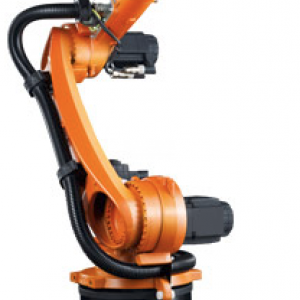 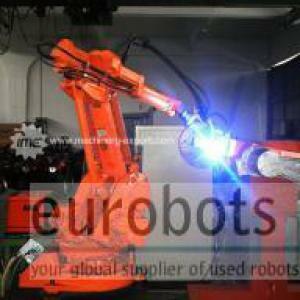 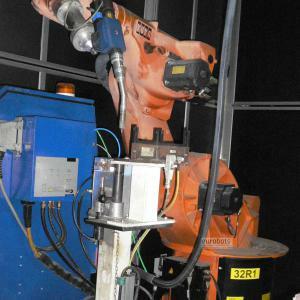 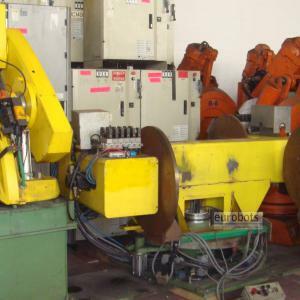 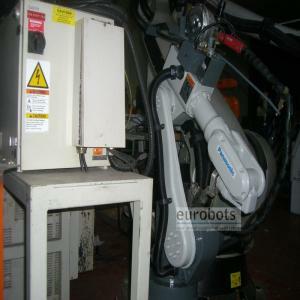 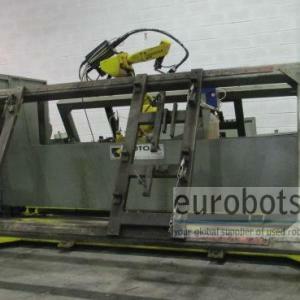 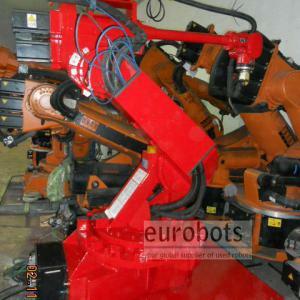 Such are the cases of the KUKA Robots through the KUKA KL1500 linear units. 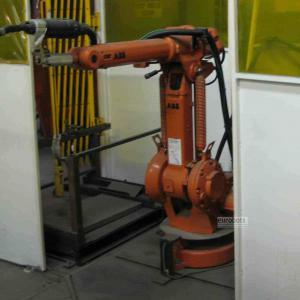 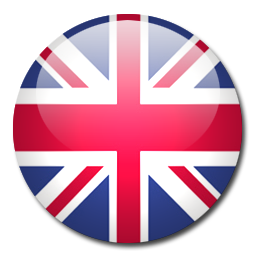 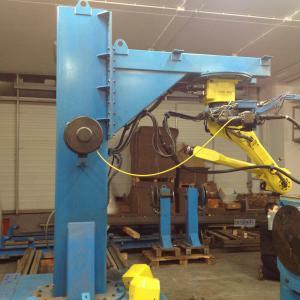 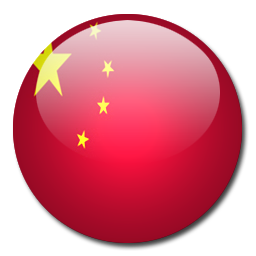 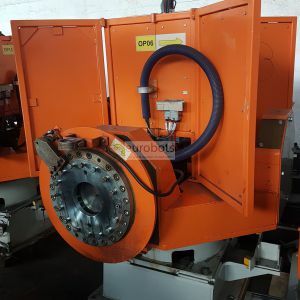 This system is suitable for welding long parts. 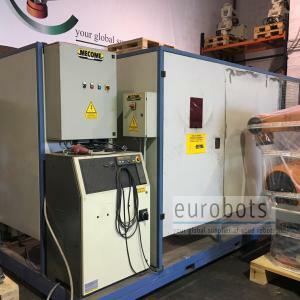 Synergic arc welding water cooled source make Fronius, Selco, Esab, Miller..., with a welding power of up to 500 Amperes. 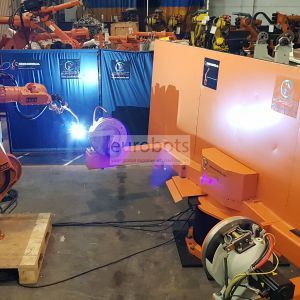 Welding torch with anti-collision system and set of hoses through which refrigeration, arc welding protection gas and wire are driven (fed) to the welding process.